Each year the new batches of students are initiated into our campus after a personality development programme. 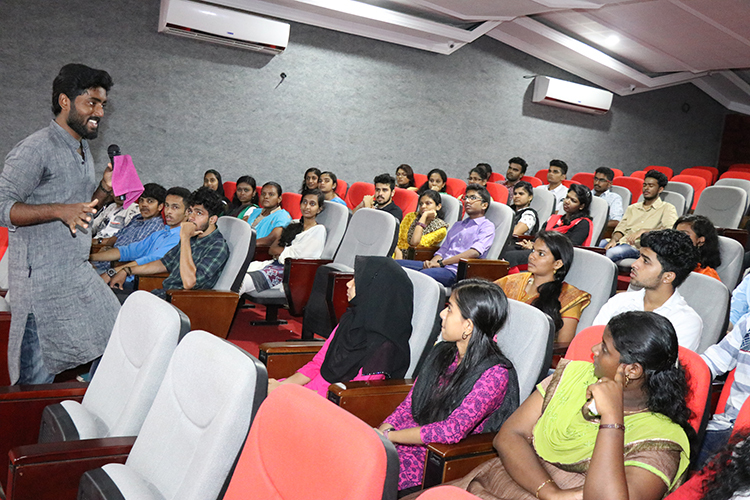 Such a programme was organized on 23 and 24 July 2015 for the new students. This year's personality development classes were handled by Dr. Sobha Teressa George, a Psychologist and retired Professor of Mar Ivanios College, Nalanchira. As endorsed by the students, it was a highly beneficial programme that boosted up the confidence of the students.